Conserve biodiversity with effective forest management practices! This valuable book examines integrated forest management in the Americas. Climate Change and Forest Management in the Western Hemisphere takes a close look at such important international issues as global warming and the destruction of the Amazon rainforest. It offers tested suggestions for combining productive economic use of forest products with sustainable, ecologically sound management practices. Here you will find case studies from representative forests in North, Central, and South America. This solidly researched book explores the barriers to integrating environmental and economic approaches to forest management. It also offers practical suggestions for overcoming those barriers, including economic incentives for sustainable use and the conservation of biodiversity. 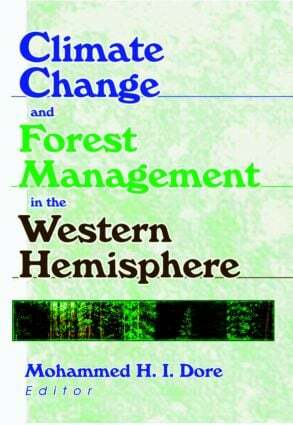 Climate Change and Forest Management in the Western Hemisphere offers a comprehensive overview of a vital subject. It is an essential resource for forestry specialists, environmental economists, and anyone interested in climate change or sustainable agriculture.